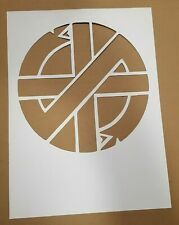 This a Stencil cut into cardboard. these are cut out of old advertising cardboard mounts. They are an exact copy of the stencil given away with the 12" version of Should I stay / straight to hell. This a Stencil cut into cardboard. these are cut out of old advertising cardboard mounts. The print has been professionally printed on thick quality 210gsm paper coated with a subtle matt UV laminate. The Clash - Songbook. Condition is Acceptable. Dispatched with Royal Mail 1st Class Large Letter. Music/ Chords/ Lyrics Spine is a bit tatty but very readable. Thanks. White Riot. 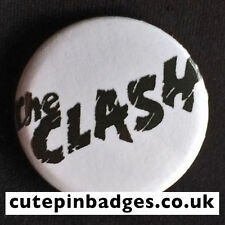 2 superior quality designer coasters featuring reproductions of Clash record labels. Waterproof and heatproof, they look amazing and even have the "teeth" and run out groove on the top surface. And on the rear a brief history of the guitar. The card is produced on 350 gsm card and supplied with a quality white envelope in a clear cellophane bag. Good quality cup/mug with Joe's beloved Dodge car featured on one side as per photo. MOUNTED DISCOGRAPHY POSTER PICTURE MOUNTED ON HIGH QUALITY CARD BEHIND A BLACK BEVEL CUT MOUNT. EACH PICTURE CONTAINS 12 ALBUM COVERS THAT ARE 6cm by 6 cm each OVERALL SIZE 14” BY 11” THIS PICTURE IS READY TO FRAME AND WILL LOOK SUPERB ON ANY WALL. THIS ITEM IS 100% UNOFFICIAL! I EXCEPT PAYPAL AND POSTAL ORDERS (UK ONLY) ALL ITEMS ARE TYPICALLY DISPATCHED WITHIN 48 HOURS OF PAYMENT. I OFFER A FULL REFUND IF YOU ARE NOT HAPPY WITH YOUR PURCHASE SO PLEASE LOOK AT MY FEEDBACK AND BUY WITH CONFIDENCE. IF YOU ARE LOOKING FOR A PARTICULAR BAND OR ARTIST PLEASE FEEL FREE TO CONTACT ME PLEASE CHECK OUT MY OTHER ITEMS AND THANK YOU FOR LOOKING! A fabulous collage of Clash promotional images, a must have item for the Clash fans out there. perfect for framing and displaying. St pressing of The Clash “Combat Rock” album matrix number - FMLN2, Original folds from having been supplied inside the album cover, overall Excellent condition for its age. Rare ticket from the above concert. Condition is very good - blue tac marks on reverse of ticket. THERE ARE 2 WAYS IN WHICH I CAN HELP WITH THIS . Original Press Promo Slide Negative - The Clash - 1980's - B - Good condition. 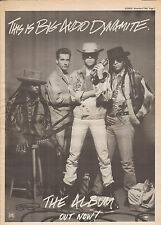 GENUINE FEBRUARY 1978 FULL PAGE MUSIC PAPER ADVERT FOT THE CLASH – “CLASH CITY ROCKERS” SINGLE RELEASE. Superb quality hand crafted solid wooden record crate. Solid wooden record crate featuring unique prints & designs. Old favorites & exciting new designs all great quality solid wooden crates in 12" & 7" sizes. One side features a band portrait, while the other has the Clash “Atlas of…Give Em Enough Rope”–photographs of criminals, protests, disasters and the like, linked to their locations on a world map. Autographed original Clash Concert Ticket from the gig at Manchester Apollo on the 6 October 1981. A very rare and unique piece of Clash history. A2 print size - 594 x 420mm (23.4" x 16.5") Signed by David Lloyd. Capping out at 3,500 people, Bond’s would be it. The 2nd Edition Black & White Version is much more common. Here for sale is a signed The Clash Rude Boy Vhs, signed by the legendary Clash front man Joe Strummer !! Joe has signed both the video sleeve and the vhs cassette label !! Would look grate framed and displayed!! Rest of the World - £29.99. Ready to hang, this presentation is professionally made to our own high standards using quality materials and will present a real talking point on its chosen location. 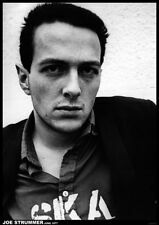 Back in 1984, punk legends The Clash played two nights back to back at the Academy. These shows were for Arthur Scargill’s Christmas Party, raising money for the miners on strike. As far as political benefits go, these sold out gigs were pretty damn exciting! The condition is excellent. A plus or minus after the grading indicates that the condition is marginally higher or lower than the stated grade. Good = Apparent wear and tear but with obvious deterioration of the condition. The condition is good plus. A plus or minus after the grading indicates that the condition is marginally higher or lower than the stated grade. Good = Apparent wear and tear but with obvious deterioration of the condition. 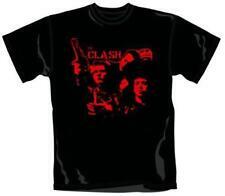 THE ULTIMATE "CLASH" COLLECTABLE. FULL BAND SIGNATURES . MUSEUM GRADE QUALITY. STUNNING MUSEUM GRADE REPRODUCTION ENABLES. AUTOGRAPHED MOUNTED PHOTOGRAPH. ORDER NOW FOR "SUPERFAST" DISPATCH. 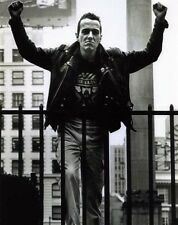 "London Calling ", their third album and first double album. Acton Town Hall Nov 2003. GENUINE ORIGINAL PHOTO - I DON'T HAVE THE NEGATIVE. Graffiti Canvas. All canvases are high quality, waterproof, matt canvas. A CLOSE UP. At the bottom portion where tour date info could/would be written to promote a specific tour date/location. By 1979 a bridge with individual saddles had been fitted, the original tuners had been replaced and the "Ignore Alien Orders" sticker had been applied. Buy it now. CONDITION : VERY GOOD/EXCELLENT ON NEWSPRINT PAPER. Size is 860mm x 510mm. This is the real deal! at the bottom portion where tour date info could/would be written to promote a specific tour date/location. Paul Simonon's Fender Precision Bass. The group played 15 concerts in the UK between 28th June and 14th July 1978. 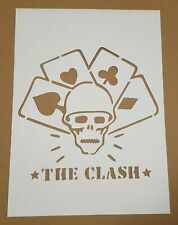 The words ‘The Clash On Parole’ are printed at the top and the tour dates & venues are listed down the left side. The condition is very good minus. 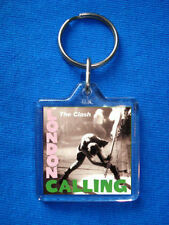 THE CLASH Black Market Clash keyring 45mm sq w/ring FREE UK P&P new low price!